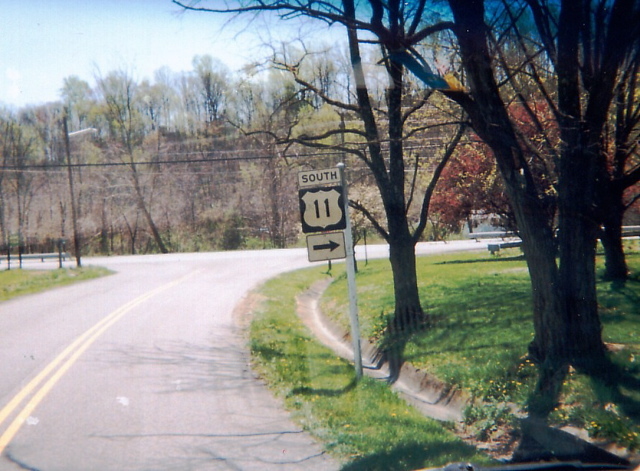 1998---VA 927 in western Roanoke County. US 460 is missing here, not only the sign, banner & arrow but the whole right side of the assembly bars. Had they been broken off by a passing vehicle, It should be the left side, don't you think? How did this happen? One of those "Mysteries of the Highways" I guess.